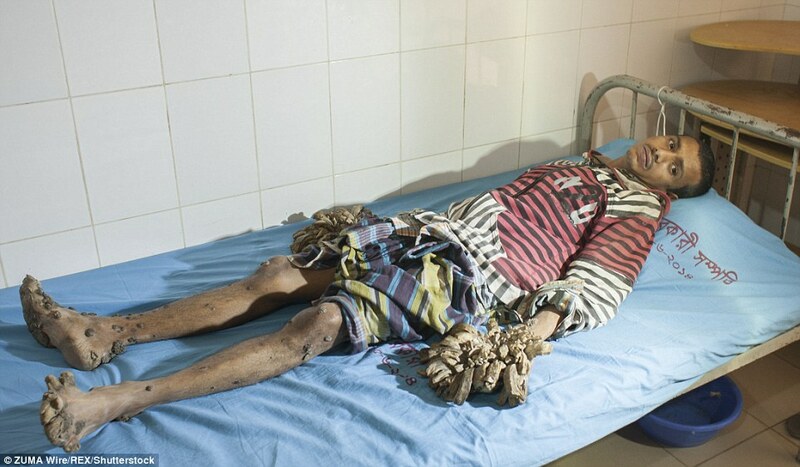 This is really serious. 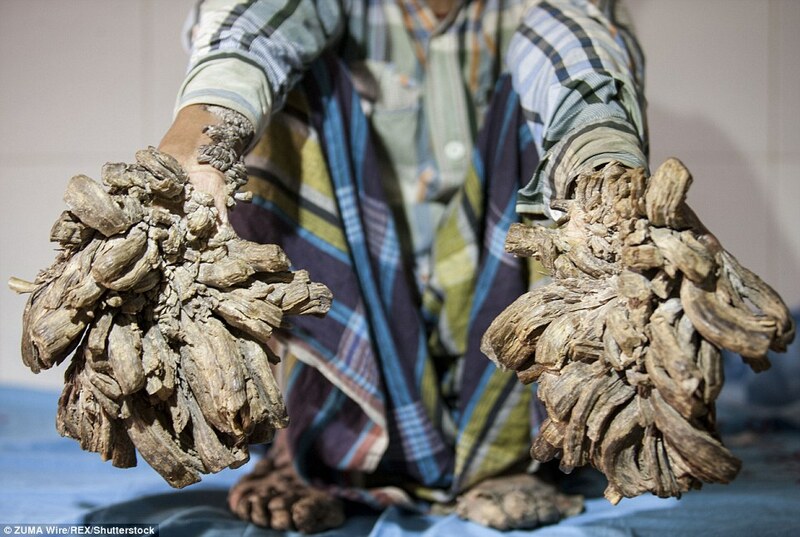 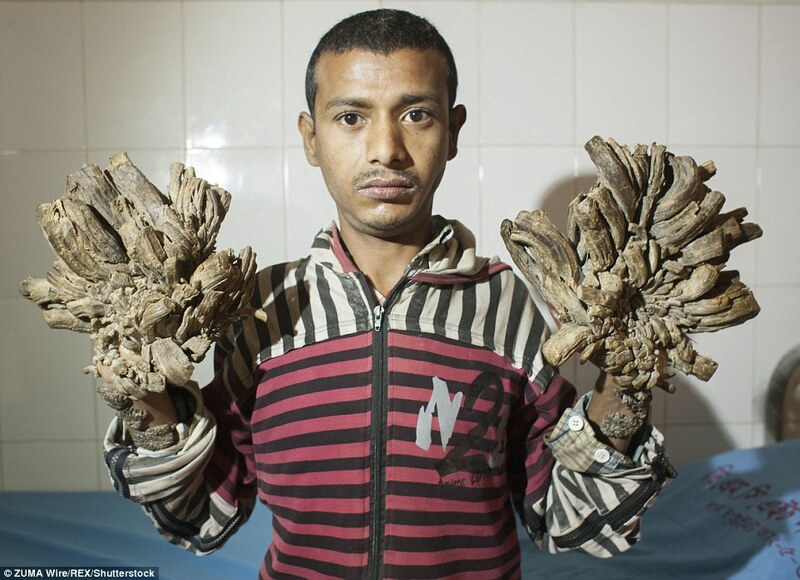 A Bangladeshi man dubbed as the tree-man because of the things growing from his hands and feet has been admitted to hospital. 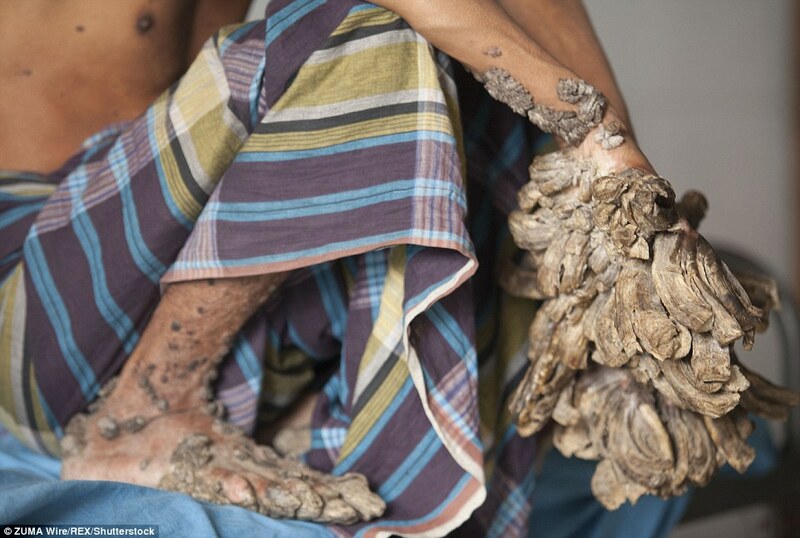 Abul Bajandar, 25, from Khulna, has been suffering from a disease known as Epidermodysplasia Verruciformis – a rare and inherited skin disorder – for the past seven years. 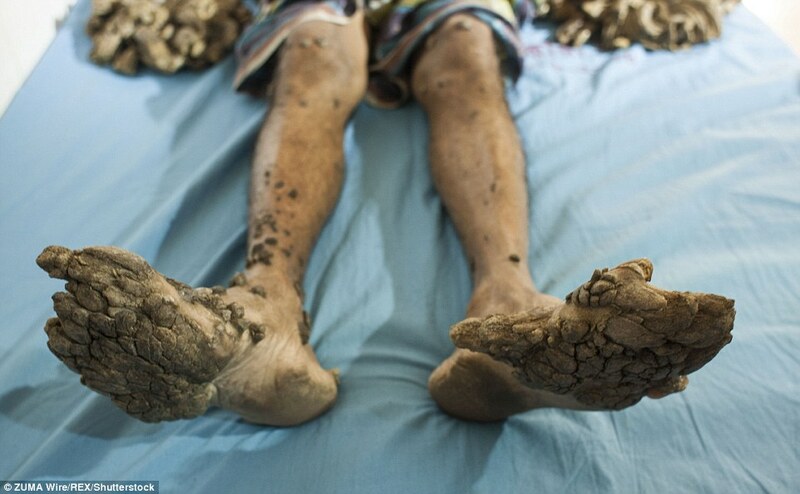 Doctors at the Dhaka Medical College and Hospital (DMCH) will now decide on his treatment after forming a medical board of experts.